Primobolan is also known as Methenolone or Methenolone Acetate. 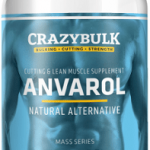 It is an anabolic steroid often used by women during a bulking or cutting cycle. However, it can have side effects. Until now, it has been considered by many as the best option for women because of its low androgenic qualities and its ability to burn fat. Most women are not interested in taking anabolic steroids and just want something that will give them a performance boost in the gym. Sutolex is a legal Primobolan alternative for women to help boost energy, burn fat, and increase lean muscle. What is Max Gains Sutolex? Max Gains Sutolex is a safe and legal alternative to the anabolic steroid Primobolan, it works by mimicking the effect of Primobolan without the side effects. Taking Sutolex will allow you train hard with intensity while burning fat and increasing lean and toned muscle. 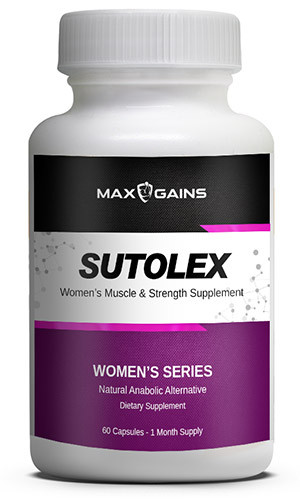 Sutolex for women contains natural ingredients which help increase blood flow, giving you increased strength and stamina. The increase in blood circulation also means more endurance during workouts and faster recovery times. Sutolex helps increase nitrogen retention in the muscles allowing you to train with more intensity and less fatigue. It also works as a powerful thermogenic so you burn fat while maintaining lean muscle. If you are serious about getting into better shape, the formula in Sutolex will make training easier by boosting your energy and reducing fatigue. You will be able to train longer and harder with more endurance. Sutolex Works Hard To Help You Eliminate Excess Body fat. Sutolex works hard to help you burn fat that seems to cling to all the places where it's not wanted such as the hips, thighs, tummy, and lower back. Using Sutolex will help you to gain muscle without looking masculine or bulky. If you are a woman who has been looking for a legal Primobolan alternative Max Gains is a good alternative. This legal steroid alternative is the perfect Primobolan substitute. Sutolex is 10 times more potent than your average sports supplement and delivers visible results fast. Best of all its one of the few legal steroid formulas made just for women. However, If working out consistently and staying disciplined in your routine is something that you're not ready to do, then Sutolex is not for you. Sutolex contains a Max Gains proprietary blend of active ingredients which include, Tribulus Terrestris, Epimedium, Ginko Biloba, Maca Root, Ginseng, as well as Muira Puama. 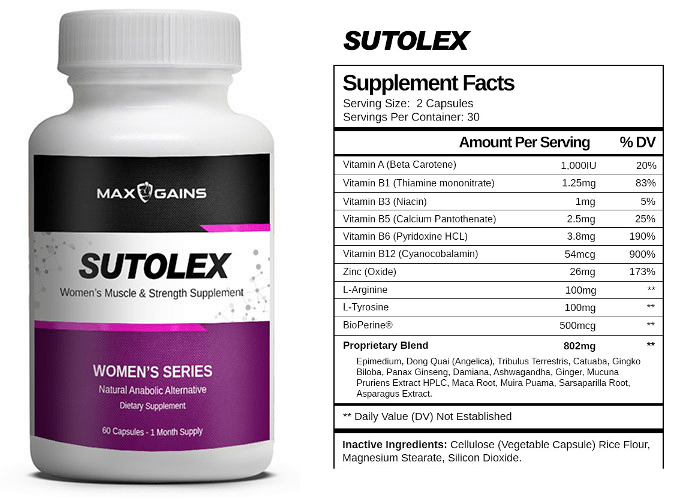 Sutolex is packed with Vitamins A, B1, B3, B12, Zinc L-Arginine, Bioperine, and L-Tyrosine. The ingredients in Sutolex are specially formulated to provide your body with everything you need to improve your training and transform your body. Unlike the anabolic steroid Primobolan, you can take Sutolex without having to worry about side effects. It has been thoroughly tested and all the ingredients are safe for long-term use. I've done some extensive research on the internet and found many reviews from women who seem satisfied with the product and the results that they are getting with it. The vast majority of the reviews are positive reviews written by women who either have used the product in the past or are currently using it now, but either way, the amount of positive feedback is pleasantly overwhelming. Max Gains Sutolex is the best legal Primobolan alternative you will find. It is a product that delivers what it promises. The Sutolex for women formula is more potent and delivers faster results than other similar products on the market. If you are looking for a safe, fast, and effective way to lose extra fat and build lean muscle Sutolex is an effective legal steroid that works. If you compare similar products you will find that the ingredients in Sutolex are far more potent than what you will find in other legal steroids making it the best value for your money. One bottle of Sutolex (30 days) cost $59.95. Sutolex is not sold in stores, we recommend purchasing Sutolex from the official website, this will ensure you receive a genuine product along with special offers available at the time of purchase. Why is Sutolex called a legal steroid? A Legal steroid is a name adopted by supplement companies because they are powerful formulas made to mimic the effect of anabolic steroids without harmful side effects. Yes, Sutolex is made from all natural ingredients making it safe and side-effect free. For best results take 2 capsules 45 minutes before your workout. How long can I take Sutolex? For best results, we recommend taking Sutolex for 2 months. Do I have to lift weights to use Sutolex? While Sutolex will help you increase strength and stamina you can use to help boost athletic ability regardless of the sport you enjoy. Many women like to use it for long cardio or Crossfit sessions to provide them with more energy and endurance. Why would someone take Sutolex over the real thing (Primobolan)? Anabolic steroids are illegal in most countries, the biggest problem with this is that there are many steroid companies that sell counterfeit products or steroids that that are not genuine. This can cause undesirable effects and most simply do not work. Sutolex has genuine ingredients that have been clinically proven to deliver results. Plus you are guaranteed you are buying a genuine product.